March 28, 2013 – Vintage Aircraft Association Director Ron Alexander will be inducted into the Georgia Aviation Hall of Fame on April 27 during the 2013 Annual Enshrinement Banquet at the Museum of Aviation in Warner Robins, Georgia. Longtime EAA/VAA member Samuel “Winn” Baker is also slated for induction as well as Lewis Jordan from Atlanta who co-founded ValuJet Airlines and AirTran Airways. 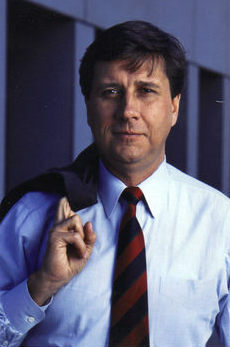 A former U. S. Air Force and Delta pilot, Alexander founded the Alexander Aeroplane Company in 1979 in Griffin, Georgia. He also developed a hands-on builder education business that became SportAir Workshops. He sold the Aeroplane Factory to Aircraft Spruce and Specialty in 1996, and SportAir Workshops to EAA. Ron began flying for Delta Air Lines in 1969 and completed 33 years of service retiring in 2002. As part of his Delta career he served as a Flight Instructor and check pilot. He also was the Chief Pilot for Delta’s restored DC-3 airplane for 5 years. Mr. Alexander has accumulated over 24,000 flight hours and is an Airline Transport Pilot. He has flown many airplanes including C-45, DC-3, C-130, C-7, J-3, PT-17, DC-9, B-727, B-737, B-767, and B-757 to name a few. , Mr. Alexander owns and flies a J-3 Cub, a DC-3, a Waco YMF-5, and a Stearman Cloudboy 6L He is an avid collector of antique aircraft and ensures that they continue to be maintained in airworthy condition so they may be enjoyed by the public. His DC-3 is still regularly flown to events where it is displayed. Mr. Alexander is also an aviation businessman of considerable notoriety. Ron founded the Alexander Aeroplane Company in 1979 in Griffin, GA, which became a major supplier of materials to aircraft builders and restorers. He also developed “hands-on” workshop programs to instruct aviation enthusiasts in aircraft building and restoration. These programs became SportAir Workshops. Ron sold the Alexander Aeroplane Company to Aircraft Spruce and Specialty Company in 1996. Aircraft Spruce is well known today with its operations in Peachtree City, GA, and Corona, CA. 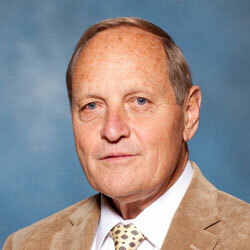 Ron bought the Stits Poly-Fiber Company in 1992 and led that company for several years prior to selling the business. He sold the SportAir Workshop business to the Experimental Aircraft Association (EAA). The EAA continues to instruct people nationwide with regular programs in fabric covering, sheet metal construction, etc. The program is now called the EAA SportAir Workshop Program. In 2003, Ron started the Atlanta Aerospace Composites Company to perform repair services on the emerging composite structures and skin technology used today in many general aviation and airline aircraft. Recently, he founded the Candler Field Museum to document the history of the old Atlanta, GA, airport, which was originally named Candler field. This museum is located at the Peach State Aerodrome near Williamson, GA.
Baker, EAA 56086/Warbirds 10588/VAA 8415, of Brunswick, Georgia, has logged more than 40,000 flight hours in 50-plus years. He learned to fly from his father, Georgia Aviation Hall of Fame legend Francis Anderson “Sam” Baker, at age 8. “As soon as I could reach the pedals,” he said. Winn joined Delta Airlines in 1963 and in 2005 received the FAA Wright Brothers Master Pilot Award, recognizing 50 consecutive years of flying without incident, accident, or violations. In October 1963, Winn applied to Delta Airlines. Delta knew a good thing when they saw one, and hired him on the spot. In 2005, Winn received the Master Pilot Award from the FAA, recognizing 50 consecutive years of flying without incident, accident, or violations. He is one of three Captains in the nation chosen to fly priceless vintage DC-3 and Travelair 6000 aircraft to events for the Delta Air Lines Heritage Museum. His passion for flying spans a lifetime, with 40,000 hours in the air covering every aspect of civilian aviation in Georgia, from general aviation pilot, Captain for a major airline, business promoter, and instructor to historic aircraft expert and humanitarian. Jordan returned to Atlanta to launch ValuJet Airlines, as co-founder, president and chief operating officer. In 1997, the company acquired Orlando-based AirTran Airways and the combined company would go on to become one of the most successful low-fare carriers in aviation history. Today AirTran employs approximately 4000 professionals in Georgia and continues to fuel the state’s economy and provide millions in savings for the traveling public. The banquet will begin with a 6 p.m. reception followed by the dinner and program at 7. For more information on reservations, contact Nicole Bissette of the Georgia Aviation Hall of Fame at 478-328-0704. The Georgia Aviation Hall of Fame was founded on April 19, 1989, when Governor Joe Frank Harris signed into law the authorization for the establishment of the state’s Aviation Hall of Fame in the Museum of Aviation at Robins Air Force Base. The Museum is located just seven miles from I-75 in Warner Robins, GA., and has a collection of over 90 historic U.S. Air Force aircraft and missiles. It is open free to the public seven days a week from 9:00 am to 5:00 pm. For more information see www.museumofaviation.org.